Trading in her career as an editor, Emily opened Whipped Bakery in February 2013 with her business partner, Evette, and has provided Denver-ites with quality bakery goods ever since. Specializing in custom-decorated sugar cookies, custom cakes, cupcakes, brownies, breads/pastries, pies, and more, Whipped is your one-stop shop for all things delicious. With a belief that you should get treats that both look and taste amazing, Whipped Bakery has grown exponentially. 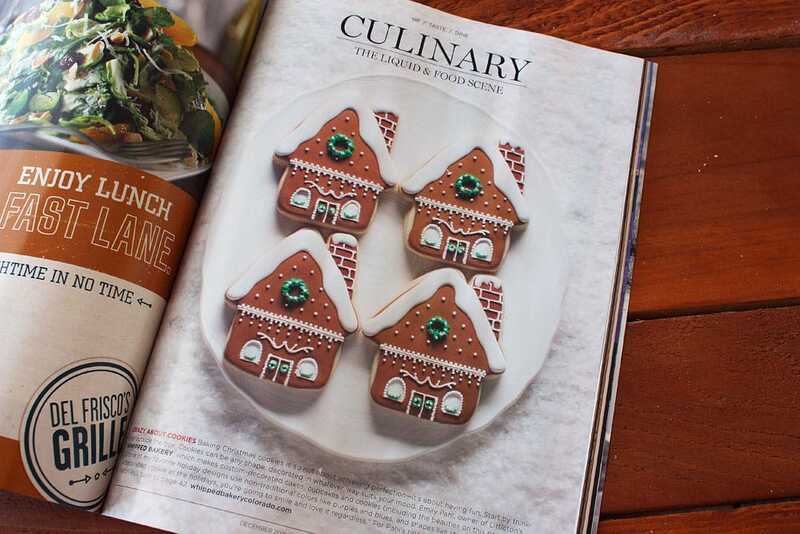 Emily, a Colorado native, has spent years mastering the intricacies of baking at high altitude. She has long since grown out of box mixes and prefers to make anything and everything from scratch. Happiest when she is up to her elbows in flour and butter, Emily can create wonderful flavor combinations to please even the pickiest out there. When she's not baking, you often can find her with a pastry bag decorating cakes and cookies. She is only happier spending time with her wonderful husband and family and watching the Broncos win. She just baked the best thing ever: a baby boy, Hunter, born in April 2016! Unfortunately in 2015, Evette had to leave the business when her family relocated. Whipped Bakery still operates under the same high standards as it did from opening day, with a focus on stellar customer service as well as providing quality custom bakery goods that look and taste amazing. Whipped Bakery is a home-based bakery in Littleton, Colorado. Please call or email so we can talk about your next special occasion and how to make it a memorable and custom experience. which can be found in the December 2015 issue. 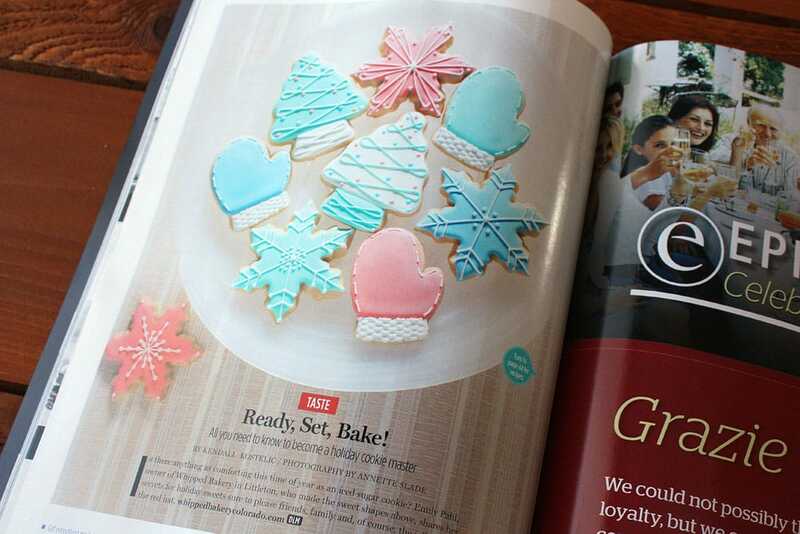 Denver Life Magazine asked Whipped to make Christmas cookies using non-traditional colors for their December 2016 issue. 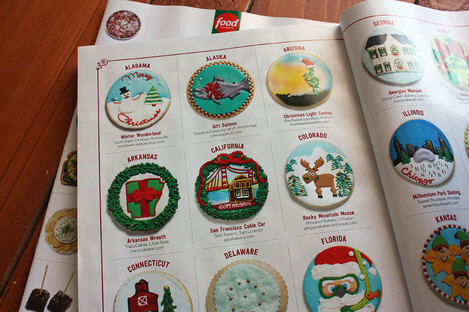 Our cookies were featured on two full pages, and they interviewed us for our cookie decorating tips. It was a fun feature!